The Internet lifestyle is a great way to generate a real income on-line daily. View my badges! All the proof you need for on line success. My story is this … Nothing to something within 2 years. I live in Christchurch New Zealand. I am the Co-Founder and Developer of the Dollar Wise Network. (Established 2009). Now I incorporate My On Line Programs to Generate a real income promoting SFI on line. I Originally joined SFI in 2010. Then due to the Christchurch Earthquakes in 2011. I lost my entire team as I had no access to the internet. I simply picked myself up and reactivated my SFI Account in 2013. I have never missing a day logging in since 2013. Here is my SFI Story. What is affiliate marketing. Pro And Cons. My Goal and Mission Year In Year Out. Is to supply a great Network, showing my SFI team had to avoid all the scams and false hype on line. I have invested thousands of dollars and hours over the years. Researching thousands of business opportunities. Putting together my Dollar Wise Network Down line builder program for team building SFI. WHY SFI! I decided on SFI years ago because I like the fact you can view where their offices are located. They pay Via PayPal or you can be paid Via Payoneer Master Card. In order to make a lot of money online you need a product every online marketer needs! SFI is and always will be an absolutely bestseller! Personally instead of paying numerous different on line Programs for advertising SFI. I always make sure to make my Top Monthly Priority to have funds in my account to cover my SFI Auto Renewal Subscription First before paying for anything else. When the Big O launched. I kept 5 DD leaders reassigning all my team underneath these selected Five. The beauty is all members receive new PSA spill over from my Bulk advertising. When you have any questions simply click the Search Tab. Enter the question into the empty Search Bar. Set your goals monthly and for the first year work towards achieving that goal. Check your emails for My Team E Cards and Genealogy posts I send out Weekly keeping our team up to date. 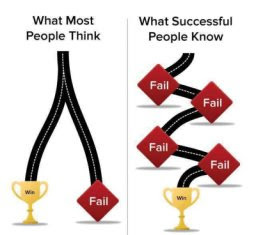 “Gery Carson’s Quote” Did you know that you usually have to fail, often multiple times, before you get to success? It was true for me and probably will be for you too. Persist until you win! Do this Daily. Clicking all Red Tabs Making Sure they turn GREEN. The tabs may change since designing of this page. But it will still look the same. View the SFI Newsletters listed on SFI Home Page and participate with the forum. Check the Stream Posts and Scoreboard to see the tasks set to climb the leadership ladder. I flutter between achieving Gold Or Platinum Team Leader Monthly. 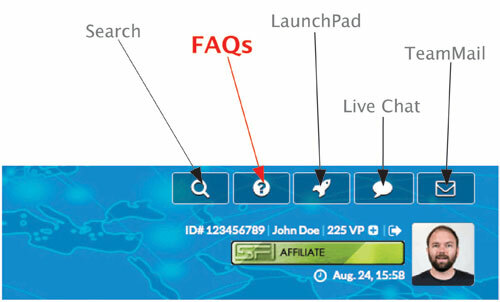 Start with setting up your SFI Network. This is the Daily Work Schedule I follow. I gather all my team to my one stop communication work station. Members Gain Access To My Down line builder sites listed at http://www.DWSEarner.com to advertise SFI on a daily basis. Here is where I reward my team with Cash Back Rewards.
" Remember! " If it's to be, it's up to me"
Review the Launch pad Training! Click the Green Tab Top Right. Make your goal to try and recruit 3 EA Leaders monthly then these three duplicate the same system generating 3 EA Leaders, creating that trickle down effect 12 Levels deep. Now imagine if you had a sales team and you teach them to do the same thing. You will start to earn revenues on every action they decide to make. Imagine some of those people who buy monthly do other things, like play games or bid in auctions or buy other things or open a store themselves. You could start building a great online business. There is no secret with SFI to achieve Success. It is very simple.. Sell T Credits. Buy T Credits. Play with T Credits. SFI is unique and one of the very few online programs that rewards all their members for shopping and selling. Patience with a little persistence will equal profit in the not to distant future. If you set goals, structure a daily planner to follow. Earn FREE TCredits with redeeming rewardicals, not to mention your qualified team members, a wonderful opportunity to explore Triple Clicks, bid on Pricebenders Auctions, participate in Eager Zebra games, and more, and all at absolutely no risk! Triple Clicks T Credits are ESSENTIAL for taking full advantage of the services available to Zing Network members. THERE is no excuse not to succeed with SFI. IF you make sure to CHECK all your emails, & most Important READ all their training. Your SPONSOR is the person in your up line most responsible for your support. Therefore, when you have questions, we strongly encourage you to ALWAYS contact your Sponsor first. Where to find your up line email addresses. At the Genealogy Tab. Hover your mouse above over where it reads Hot Spot. Scroll down and click the Genealogy Tab. Click where it reads My Up line. You will find your progress with the Team Over rides listed here. Remember you also earn PSA Commissions from your Level One Team. THIS is why I can not stress enough. TO Make SFI a Long Term Project. The Benefits will follow the longer you participate daily, gaining knowledge and building a client base. SFI's Direct Commission program is powerful because once you sign up a member or affiliate, they become your customer for life! With our new allocation and method of assigning up to four Co-Sponsors, we will be able to offer even more CSAs which will make it even harder to resist, and will result in even more of your new affiliates advancing to EA in their first 30 days. This of course can explode group activity and commissions for sponsors and up line Team Leaders. Tip! In my first six months when I reactivated my SFI account in 2013. I researched all the SFI training not worrying about my commissions. As with any new business it takes time to develop. I saw any commissions earned as an extra bonus. Step away from your computer take a deep breath then return. Try not to make SFI more complicated than it really is. Make sure to log in daily and participate. Then read one new training article at the right daily. This is your GOAL To Set. Locking in your Monthly Auto Renewal at SFI. I lock in the 125 TCredit Package. I then redeem Rewardicals all month into more TCredits and VP. So I do not need to do any more spending. Join GDI. 7 Day Free Trial. This was my very first affiliate program I joined in 2009. Here is where I design all my SFI Reference Website Articles you are viewing. Giving my SFI team access to my website, when I am off line. True 24/7 Support. Duplicate this page using the easy GDI Webmaster inside the back office. Struggling to design your domain. Put Me to work for you locking in this gig. I will have your web page on line within 48 hours. Follow the steps to White list All SFI and My Notifications. Find your SFI emails. THEN rinse wash repeat with my email address. Kick start your SFI team building with locking in at my Fiverr Store. BE SURE to fill in your information at the Down Line Builder Funnel at ABC4Income. Gain Back office access to all my training videos and articles. Giving all my friends and SFI team access to the answers to any questions, even when I am off line.